I don't often use the rub on type of pain relievers when going out because of the smell that they all seem to have. 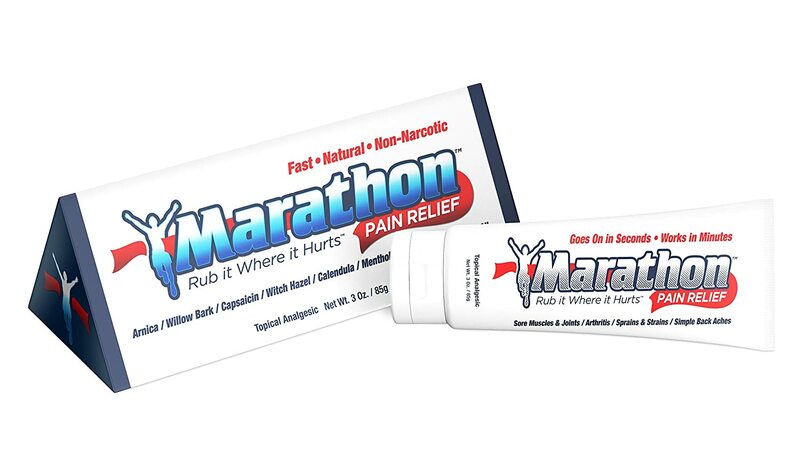 The Natural Pain Relief Cream by Marathon Pain Relief may not be completely odor free, but has only a hint of a scent to it, and not at all an unpleasant one. It is easy to apply and rubs in nicely without leaving an oily film behind. It has a nice warming sensation, and really feels good while being massaged into my skin. I have used it on my neck, shoulder and knees and it really helped in all these places. It also lasted longer than most of the other creams, rubs and ointments I have used in the past. I like that it is a natural pain relief cream, rather than filling my body with loads of chemicals to relieve the pain and stiffness that I suffer from on a daily basis. I would recommend it to anyone who wants a natural form of pain relief.